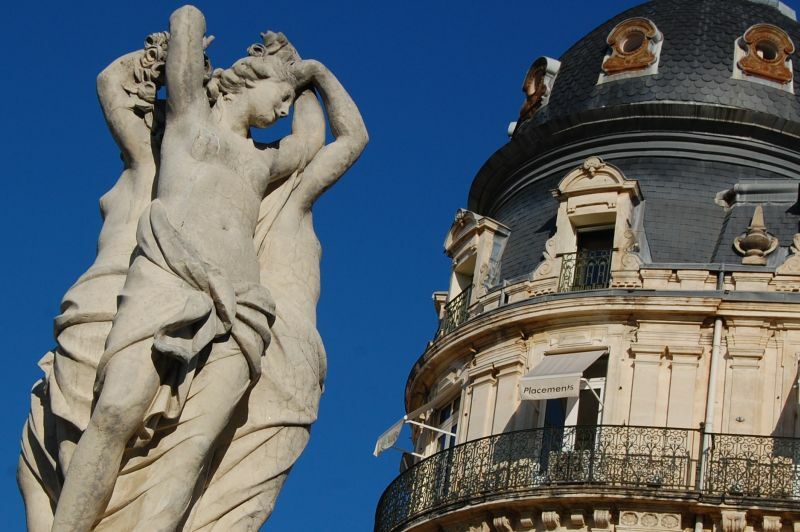 Ancient architecture and cutting edge design – Montpellier is a jumble of styles with a look of its own. Karen Bowerman tried to decipher an unusual city. It’s not often that a tour guide points out cranes, but that’s what ours did in Montpellier. Cranes, I was told, were a sign of growth, and growth of innovation, which meant the unsightly meccano-like arms looming over us as we strolled around Port Marianne were actually a ‘good thing.’,Town planners in Montpellier, the capital of France’s Languedoc-Roussillon region, are an ambitious lot. The city is already the 8th largest in France but they want it even bigger. Over the past 30 years they’ve created entire districts: Antigone, Les Rives du Lez and now Port Marianne. Gradually the city’s shifting southeast, across scrubland, towards the Mediterranean that glints in the distance. 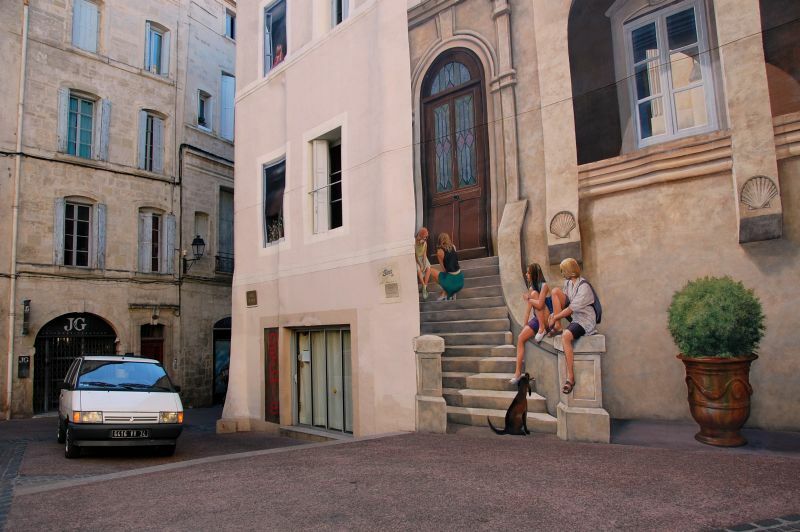 Montpellier is an intriguing mix of 19th century architecture and cutting-edge design. Concrete housing with monstrous neoclassical features, gigantic glass buildings and a library with an utterly flat facade and pinprick windows, lie within a stone’s throw of crumbling ramparts and medieval alleyways. Sometimes the old blends smoothly into the new. Sometimes things just don’t feel ‘right’: colours and textures clash, aesthetics seem under threat, the cityscape grates against the sky. But overall, putting the soulless spaces and empty walkways of Port Marianne to one side, the planners have pulled it off. 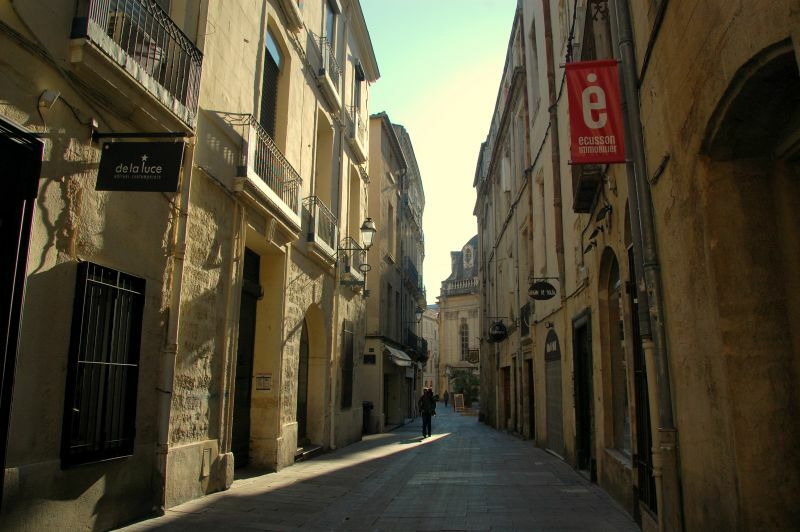 Admittedly it’s Montpellier’s historic centre that most visitors want to see. Nicknamed Ecusson since its pentagonal layout is similar to the shape of the old French coin, the ecu, its focal point is the Place de la Comedie, a large, marble-paved square, surrounded by six storey buildings with symmetrical facades, towering colonnades and stone balconies. Here, there are no cranes, just grand domes, elaborate stonework and roofs decorated with carved pineapples and contented-looking cherubs. At one end is the extravagant-looking opera house built in the late 1800s for the enjoyment of Louis XIVth’s courtiers and high-ranking university professors. A statue of the Three Graces (the original is in the lobby) adorns a fountain outside. As I stroll through the square a clanging bell indicates an approaching tram. It snakes into the concourse, a line of blue decorated with white swallows. Half way across, it slows and stops; commuters and students stream out. Despite it being rush hour, many make time for an espresso. Waiters pause from re-arranging tables to serve them. Office workers down their drink in seconds; students pause and chat. 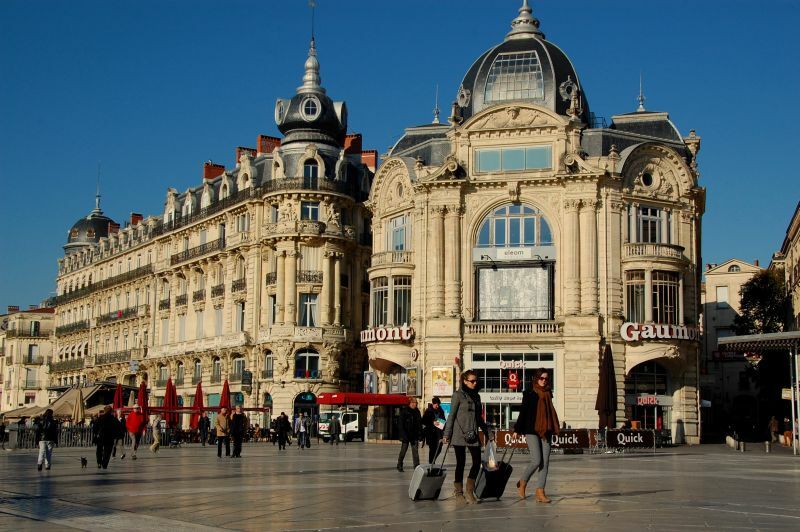 Montpellier has a large, youthful population. 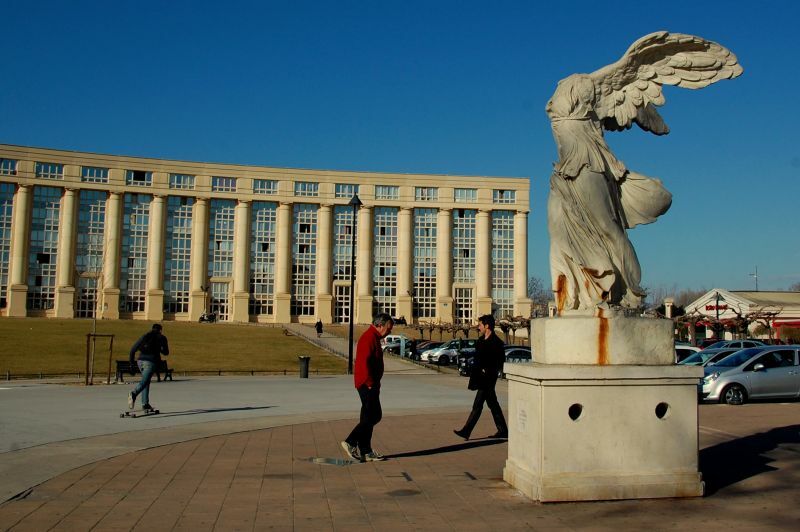 Of the city’s 260,000 residents, 30% are students. Many come to study at the oldest medical school in Europe then stay for the Mediterranean lifestyle. One of city’s most famous students was Christian LaCroix who designed the cars for two of Montpellier’s new tramlines. He took as his inspiration the iconic symbols of the Mediterranean: the sun and the sea. It’s easy to forget there are beaches just 11km away, with a new cycle path linking the centre to the shore. 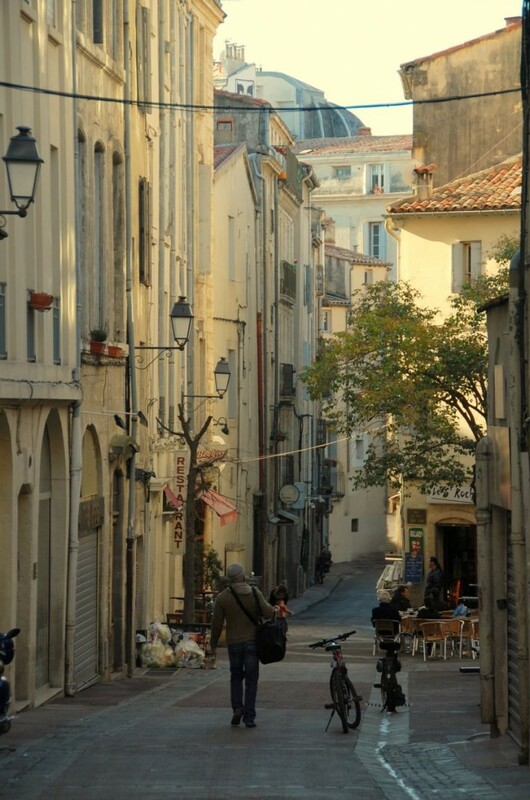 While the modern districts of Montpellier are full of computer companies and pharmaceutical giants, the old town is home to chic boutiques, cafes and delicatessens hidden in shady alleyways. An early morning stroll took me past churches, fountains and a number of impressive trompe l’oeils. A boy on his bike rattled over the cobbles; a woman angled her chair to catch a slither of sunlight on her balcony; a man headed home with a couple of baguettes, their ends poking out of a striped shopping bag. It’s here, in the pedestrianised old city, that you’re likely to find Montpellier’s famous hotels particuliers, impressive 17th century mansion houses with bright interior courtyards and outside stairwells. 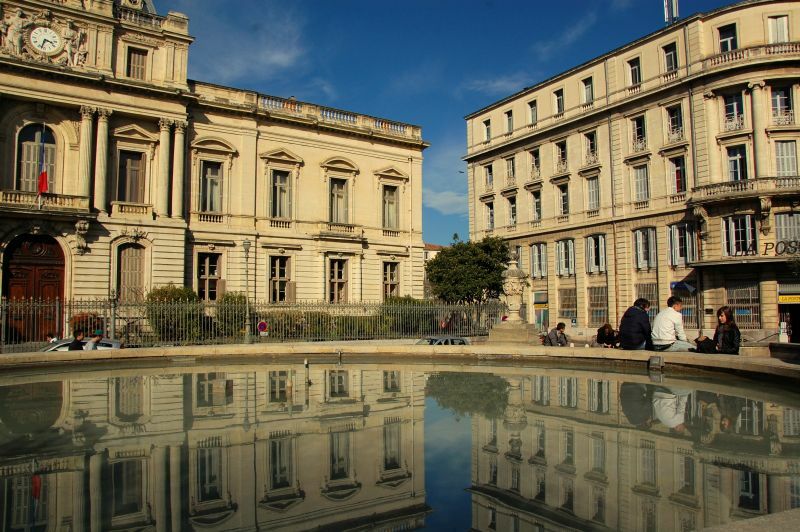 (Take a look at the one off Place de la Canourgue, its stonework decorated with carvings of horns of plenty, although the mansion that’s most well-known houses the Musee du Vieux Montpellier, the museum of old Montpellier). The city’s most famous museum is the Musee Fabre found on the esplanade that links the Place de la Comedie with the Jardin des Potiers, a medieval archaeological garden centred round the ruins of the 13th century St Esprit church. Musee Fabre, nestling behind kiosks, trees and fountains is considered one of the most important fine art museums in France. Here you’ll find towering canvases painted or etched in black by the famous French artist Pierre Soulages (now in his nineties). But what also caught my eye was the work of a little-known local artist Frederic Bazille (1841-1870), a close friend of Renoir and Monet, but one who although seemingly as talented, failed to share their good fortune. The museum’s curator has displayed one of Bazille’s oil paintings next to one of Renoir’s as if to illustrate the point. Both are of the same still life. The styles are so identical that I find it impossible to judge between them. We leave the Musee Fabre and stroll through the pedestrianised district of Antigone. 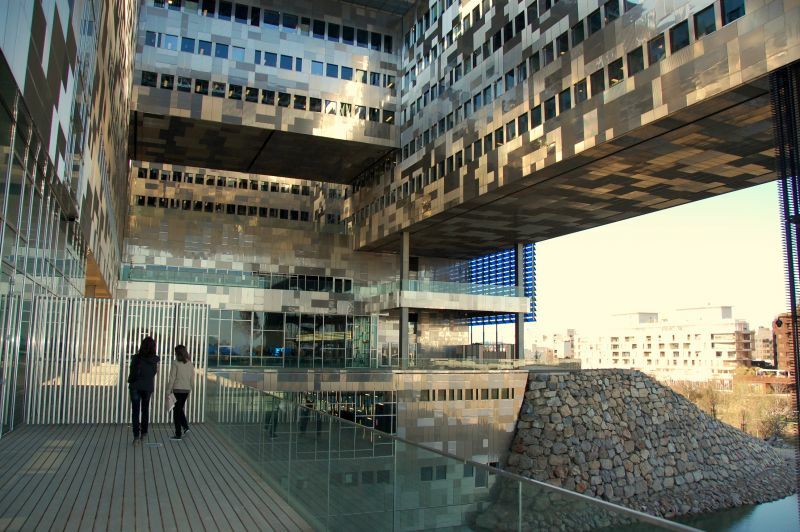 Built in the 70s, it links the old town of Montpellier with the new. I struggled to feel comfortable with the neighbourhood’s neoclassical style. 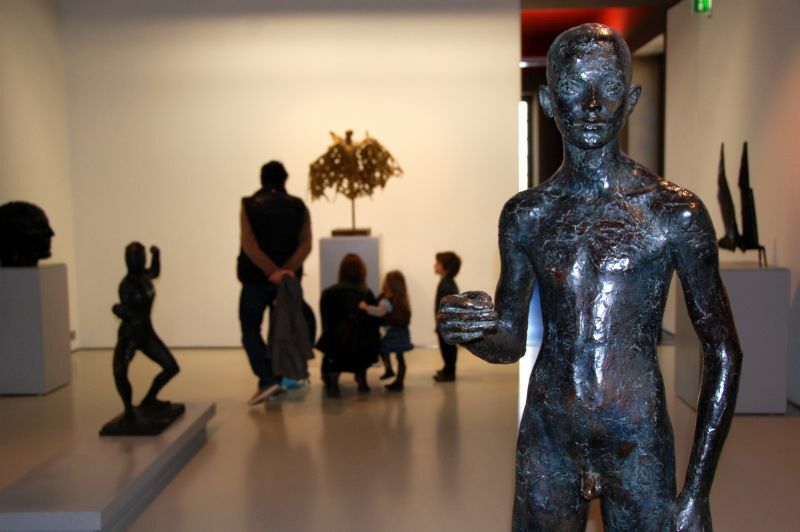 The district’s numerous Greek statues and life-size Poseidon seemed out of place in the modern city, while the sandy-coloured concrete buildings with their columns and plinths seemed crude, artificial and cold. But when I began accepting the district for what it was (namely odd) and noticed the way the sun lit up the glass frontage of the Olympic swimming pool or highlighted the edge of a Doric column, then this little enclave of Greek idiosyncracy didn’t seem so strange after all. The district leads down to the river Lez where a small path takes walkers to Port Marianne – the home of the cranes. Here, our guide was keen to show us City Hall, the area’s flagship building. 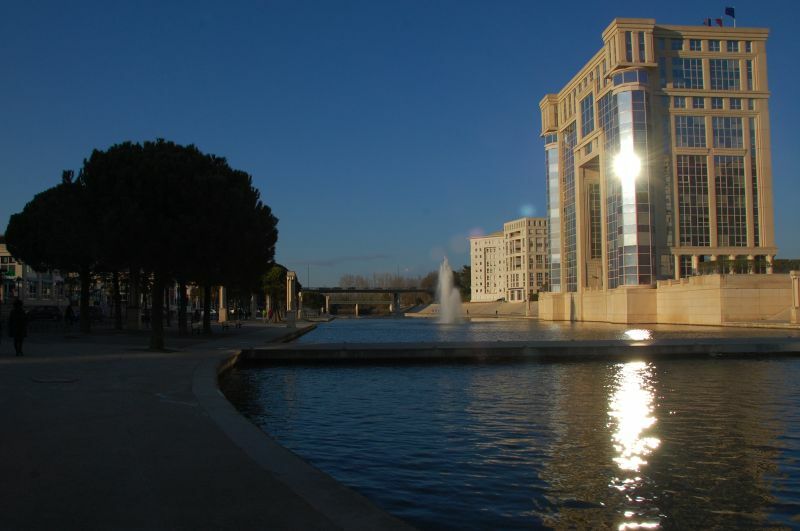 It’s a colossal square of stainless steel with solar panels, an artificial lake and a park, and is seen as a perfect example of how Montpellier’s planners are blending the city into the countryside. We were shown the blue-tinted council chamber, the entirely white civil ceremony room and the lobby, its ceiling plastered with pictures of gargantuan city registers. But I couldn’t get over the vast, black façade (I was told it was actually blue – the city’s colour – in the “correct” light). I asked our guide what locals thought of the building. “They’re curious,” was her reply. And maybe that’s the best way to approach Montpellier – a city where tradition and innovation co-exist, where architecture ranges from medieval to modern, and trams, painted with bright, colourful flowers, speed through districts splashed with tromphe l’oeils 50 feet high. As you wander through this jumble of traditional, quirky and doubtlessly creative design, discovering what appeals (and to a certain extent what doesn’t) is all part of the fun. 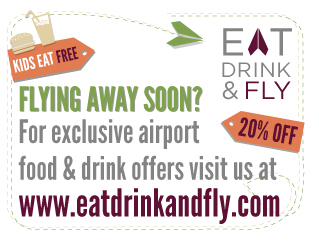 Montpellier is around 2 hours by plane from London, (fly from Heathrow with Air France; from Gatwick with Easyjet). 70 minutes by plane from Paris and 90 minutes from Frankfurt. 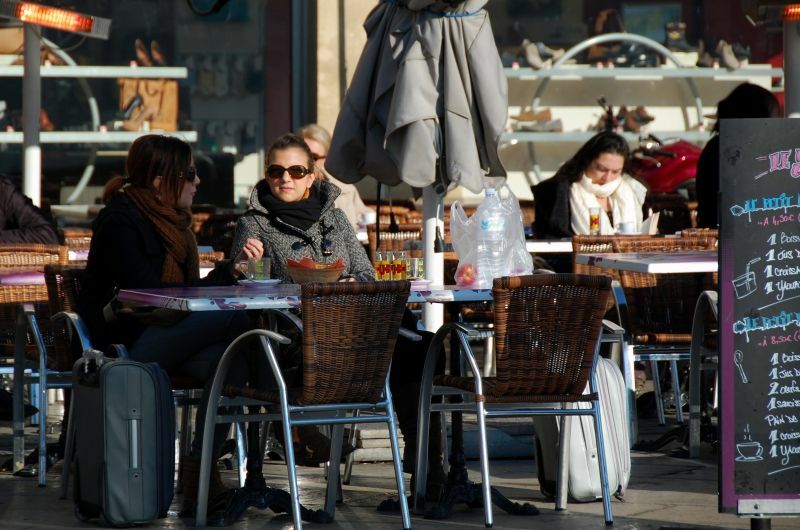 Montpellier International Airport is 8 minutes from the city centre with easy access on a regular shuttle service. 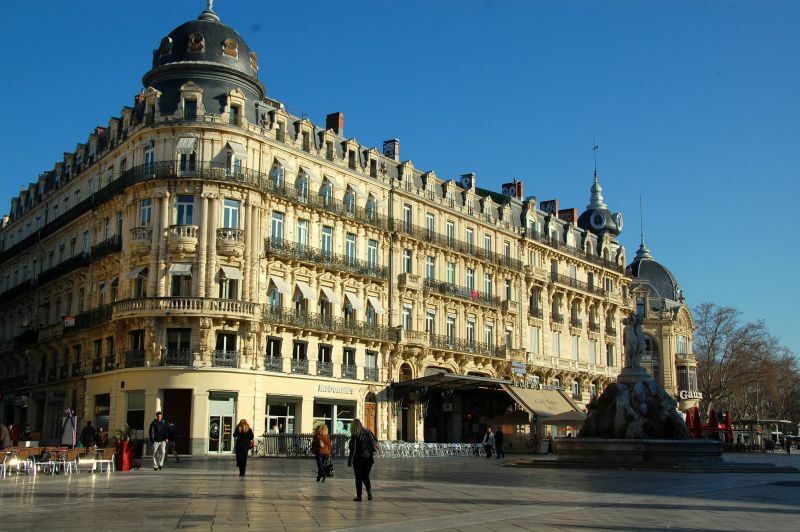 Montpellier is also accessible by train. It’s a direct route from Charles de Gaullle Airport (3 hrs 15 mins), from Lille (4 hours 45 mins) and from Brussels (5 hours). 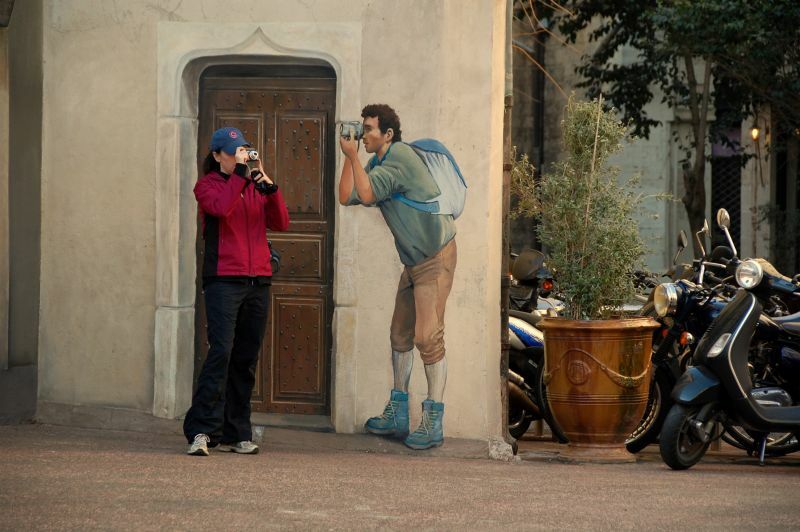 Montpellier tourist office also has an online booking service for accommodation, guided tours, tickets and excursions.